This might sound like a minor injury but it can turn deadly fast. Even if you are wearing a thick leather jacket, a helmet and pants you can suffer from extremely painful and serious abrasions if you skid. If they are left untreated, you can develop an infection which can lead to more life threatening conditions. If your motorcycle was hit by another vehicle and you were thrown as a result, you might break a bone or two depending on how fast it happened. If you broke your arm for instance, the cast you will have to wear cannot be taken off for a month at least leading to a compromised lifestyle. Multiple fractures can also keep you bedridden for a year leading to loss in wages you might not be able to recover. Even though a helmet is usually quite enough to prevent serious head injuring during a motorcycle accident, that is not always the case. If the impact is serious, it can shatter the helmet causing brain damage despite protection. This can prevent you from living a full life and impair your cognitive functions if the damage is left untreated or if you cannot afford to have it treated. Damages to the spinal cord are often permanent or they require years of physical therapy which may or may not work. Conditions can include complete or partial paralysis often leading to full time care of the victim. If you cannot afford medical care, then the condition can prove fatal besides depriving your family of the income you get from your job. Even something as simple as whiplash can cause spasms in the neck which can prove debilitating. Serious car accidents can lead to horrible disfigurements for motorcycle drivers ranging from broken bones, burns, laceration and other severe injuries. Depending on their severity these can leave scars that might compromise future career prospects and relationships. If you are the victim of such a crash, you have every right to demand those costs be paid in court from the one who rammed into you. This includes coverage for medical bills, lost wages along with the pain and suffering you are going through post accident. 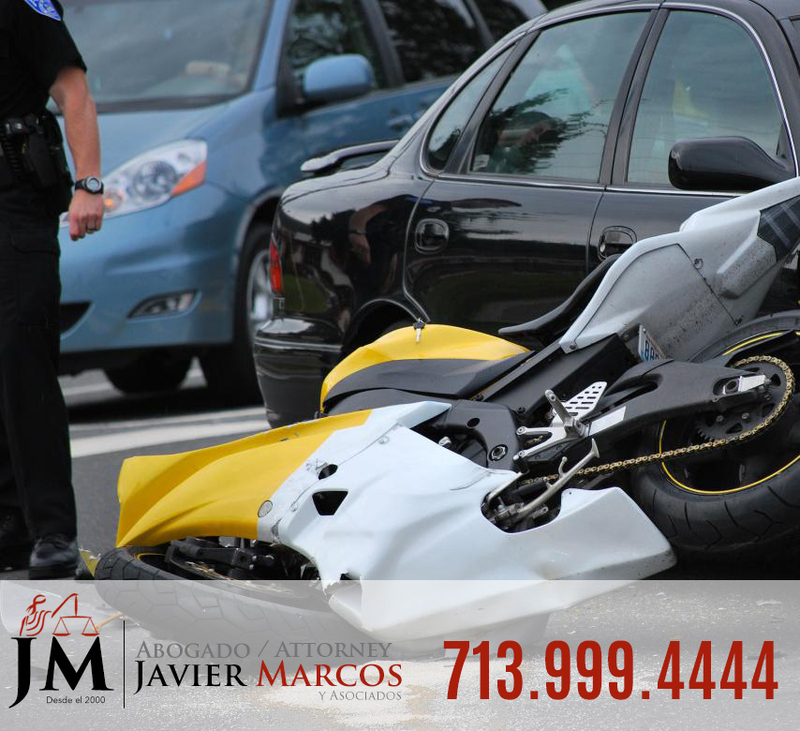 Needless to say, most motorcycle accident lead to serious injuries to the body but you have the right to ask for coverage. Attorney Javier Marcos is in your corner and can defend your case in court according to your best interests. This includes ensuring your medical bills and lost wages are taken care of. Just give us a call by dialing 713.999.4444 for a FREE consultation today. There is no payment unless we win the case.